Fix & Flip Loans are our flagship loan program. The NBE’s “Fix and Flip” loan programs provides flexible terms for funding of up to 100 percent of the purchase price. NBE’s “Fix and Flip” loans could be structured as 1st lien only or a combination of 1st lien from another lender and 2nd lien from NBE. 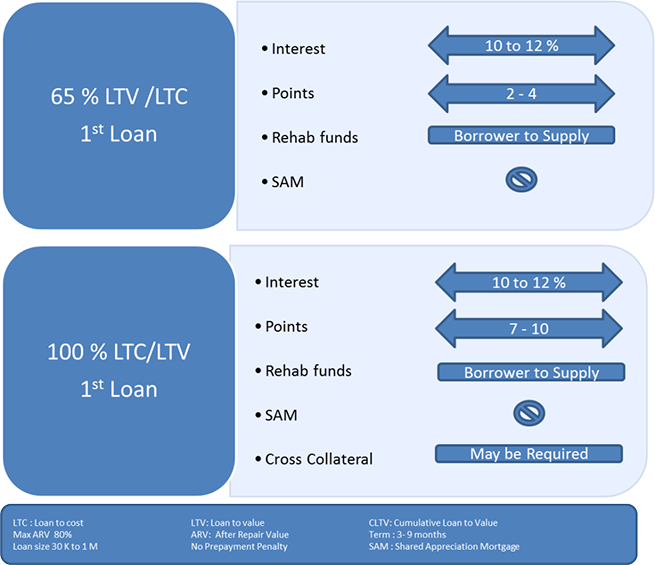 In the 1st Lien Loan NBE is the only lender providing 100% acquisition financing at 100% LTC. Good deals on single family homes may come up when you least expect it and investors in the local real estate market are quick to respond to such projects. When it comes to fixing and flipping, cash and speed are crucial. Real estate investors need the resources to execute their plan and make attractive offers that promise quick closes.